This website has attempted to unfold Chief Osawaru Igbinedion from the cradle to manhood and from a humble beginning to a position of enormous affluence. 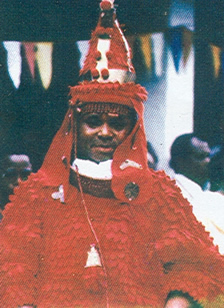 Born in 1934 in the village of Okada, Chief Igbinedion began his life in a rural environment but when eventually he was brought to Benin City at the death of his father, he quickly adjusted to the new environment, thanks to the conquering spirit he inherited from his late father. At the Benin Baptist Primary School (Emokpae Primary School) Benin City where he completed his primary education, Osawaru Igbinedion also demonstrated an ability to withstand the test of time. As a house help to a number of persons in Benin City including Samson Idahosa, who was then a Forest Guard at Okada and who brought him to Benin City, Igbinedion had a chequered early education. He excelled at the primary school in his academic work, sports and manual labour, that he was given the leadership role which earned him the accolade "Exemption". This leadership quality that saw him through his early primary school days was also with him at the Eko Boys' High School Lagos, where he had a very brief secondary school education. The spirit was also demonstrated when he assumed the role of an Adult Education Officer in the sale and distribution of the adult literacy campaign newspaper "Ebe Ukpalaghodaro". He was enlisted into the Nigeria Police Force, again through a personal effort worth commendation, and at the Police Force, the same leadership quality put him in the position to interact freely with his superiors. A Deputy Inspector­General of Police (DIG) in Force Headquarters Lagos, Donald Ugbaja, who was an Inspector when Igbinedion was a Constable, admitted in an interview that although he himself was a proud man, he interacted quite closely with Igbinedion in spite of the difference in rank. The DIG believes that Igbinedion had leadership qualities that put him well ahead of his counterparts and made him more comfortable in the midst of his superiors than amongst his peers. Igbinedion's life in the Leventis Company was similarly characterised by the same trait. He was a bold and daring businessman who took decisions that many of his counterparts would not dare. The Leventis Company benefited by such decisions and in recognition of Igbinedion's leadership trait Leventis soon promoted him the company's Sales Manager. At Leventis, he pioneered a sales strategy and within a short time, made the company the most important distributors of Mercedez Benz vehicles in the then Mid West Region. This quality he imbibed from his youth was to help him through the trying moments of his private business. He remains the pioneer and daring businessman who seems to enjoy risk-taking which have all paid off. He established the first indigenous vehicle assembly plant and sales company in the then Mid West Region, established the first private airline and embarked upon the first privately developed town in Nigeria, amongst others. He is an employer of some 9,000 workforce. Along with Chief Igbinedion's pioneering capacity, is his usual ability to share his wealth with both the government and the governed of the society. He donates generously to government causes and other corporate establishments and never hesitates to assist the less fortunate in society. Today the sum total of such assistance has run into millions of naira and, to the astonishment of even the well-to-do. Chief Igbinedion's philanthropism has become part of his daily life pattern. Not many a millionaire can part as freely with his wealth as does Chief Igbinedion, showing once more trait of the pioneer and leader. In recognition of his efforts and achievements, Chief Igbinedion has been honoured in various ways. He has won several high ranking traditional titles and he is a recipient of several awards including honorary degrees of different institutions, spread across the globe, thus making him a world citizen. One good quality of Chief Igbinedion is his ability to apply a touch of finesse to all his endeavours. He crowned his Benin traditional title of the Esama of Benin with the Iyanhien ceremony, won international fame in the business industry and acquired the rank of the Grand Commander of the Knight of Benedictine Order in his Christian life. Chief Igbinedion's world fame does not prevent him from being a pleasant family man. He is successfully married with children. He invests in his children a number of whom, have acquired higher education and are now part and parcel of the Igbinedion legacy. As a world citizen, Chief Igbinedion is a man of many parts. He interacts with all the sectors of the society both at the local and international levels, and opinions about him vary. In the opinion poll conducted at the local level, precisely in Benin City and environs, an average of 85.7 per cent was recorded in his favour; and at the international business level, all his associates had good impressions of him as an astute businessman who separates his business from pleasure and who in the process of his endeavours always remains consistently Nigerian. Another interesting aspect of Sir Gabriel Igbinedion is the fact that he is a patriot to the core. Amongst the several Nigerian multi-millionaires, Chief Igbinedion stands out distinctly as an example of those who take Nigeria closest to heart. 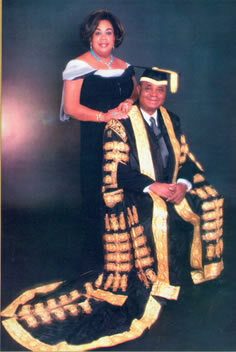 Chief Igbinedion invests essentially within the country. Indeed, apart from the Intercontinental Merchant Bank in Jamaica, which makes him the first African private investor to establish trade links with Jamaica; all of his wealth is deeply rooted in Nigeria giving succour to many a Nigerian through employment. Today, the Okada Group of Companies constitutes a viable source of hope to many homes, thanks to the patriotic understanding of the Esama of Benin. In summary, Chief Igbinedion rose from humble beginnings to affluence more or less all by himself piloted by the guiding hands of God Almighty. His entire life has been characterised by challenges which he overcame, thanks to the success of his risk-taking efforts and his pioneering drive. Today, Chief Igbinedion, at the age of 60, is an industrialist and a billionaire of international dimensions, a philanthropist of world fame, a devout Christian and a Justice of Peace. 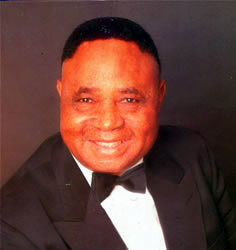 Chief Igbinedion's type is certainly rare and it might take many a researcher to find another.